Collage, String And Play! Decorate And Assemble, Then Put On A Show! 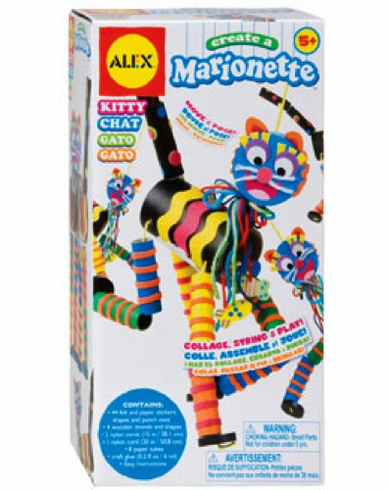 Each Kit Contains Stickers, Punch Outs, Ribbons Yarn, Craft Glue, Nylon Cord And More. Easy Instructions. Ages 5 Years & Up.